Hello, Jen's readers! I've been a guest poster in the past and it's always a pleasure to come back! I just got a dream internship in Seattle so for the first time in my life, I'm living in a real city with real sky-scrapers and a real commute. I moved here from Montana for 4 months and along with the adjustments I had to make learning public transportation and navigating a big city, I had to revamp my wardrobe. However, I'm just an intern, so I had to do this on a major budget. Cities are expensive! So, prior to arriving, I made a list of necessary "city day" items I would need for Seattle and they've all proved to be absolutely pivotal in my city wardrobe. 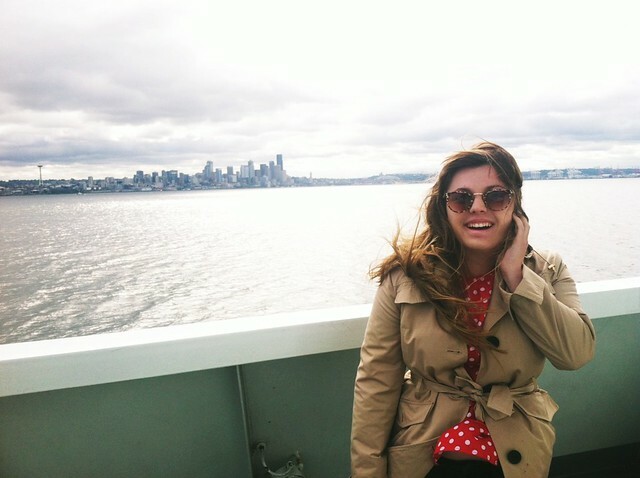 Here are my top three clothing necessities for the summer in Seattle! My trench coat, hands down, is the best purchase I made prior to moving to Seattle and absolutely my favorite. Walking around, it's sort of my "statement" piece of my outfit while being the perfect neutral to wear with everything in my closet and also office appropriate for when I'm running errands and representing my company. Also, it's just dang cute. I think going into a store and trying one on for the best fit is beyond important because it's hard to find one that achieves the perfect cinched waist without being too poofy and not too long, either. So, already, a trend is happening that is: buying things that are versatile It's true though, that maximizing a clothing item's use is so handy! I've learned to invest in basics that can be thrown into multiple outfits with these key items I'm wearing constantly. 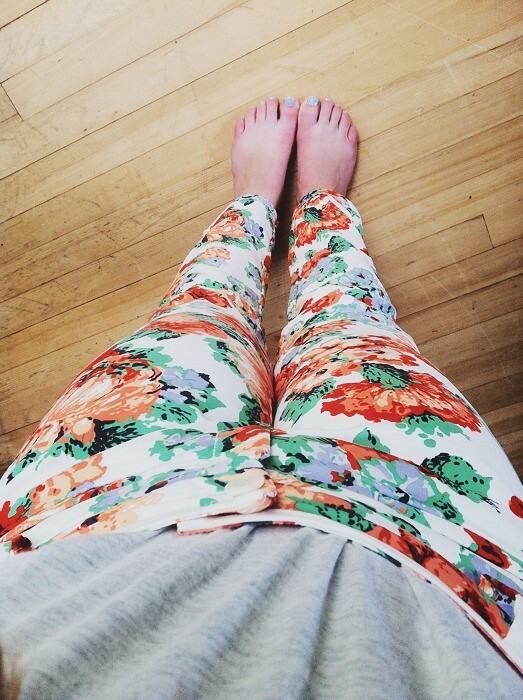 My second favorite "summer" city item are my dream floral pants. I've been on the hunt for floral pants for a couple years now that weren't too loud but also could be dressed up or down with basic shirts and button downs. Finally, I found them! My dream floral pants! I barely have to wear any jewelry or accessories with them because they speak for themselves and just do all of the work. I'm obsessed. I've worn them with wedges and a plain colored blazer for work, a basic tshirt for the week, and a dressy tank top and heels on the weekend. I used to think Saltwaters were just a thing for Mommy bloggers. Wrong. So wrong. Saltwaters are the best sandals in all the world. I have walked ten miles through the city in them and my feet feel fine. Never once have I gotten a blister nor have I ever felt them rub anywhere on my feet. 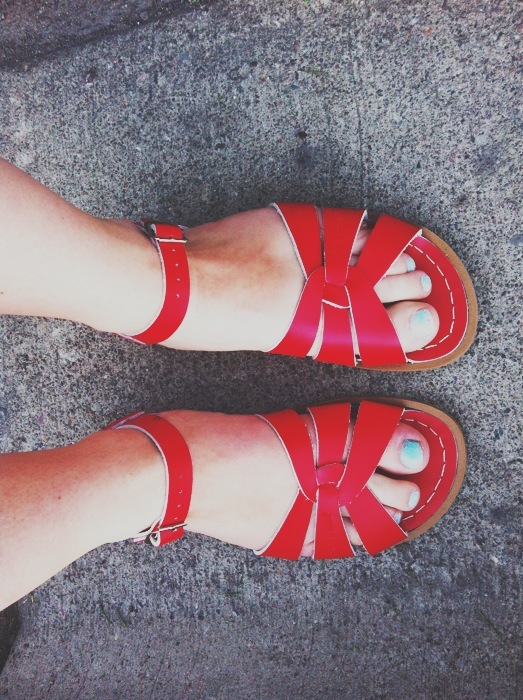 No other sandal, even my Tevas at home, compare. They are simply the winners. might be a great author.I will be sure to bookmark your blog and may come back from now on.